Cappadocia which is unique in the world and is a miraculous nature wonder is the common name of the field covered by the provinces of Aksaray, Nevsehir, Nigde, Kayseri and Kirsehir in the Central Anatolian region. The tourist sites impressed me most in this area were the Goreme Open Air Museum and Kaymakli Underground City. 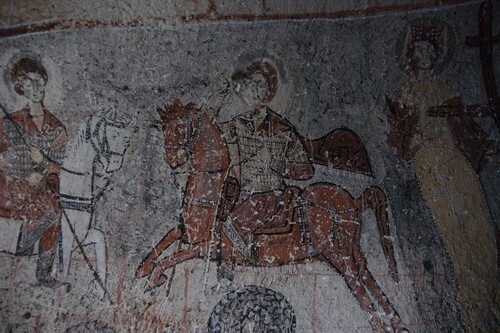 Goreme Open Air Museum was a the monastery of nuns and built in the caves during AD 900 to 1200. There are churches, dinning rooms, kitchens, and dormitories. It is really amazing to see so many cave houses in such a big area. 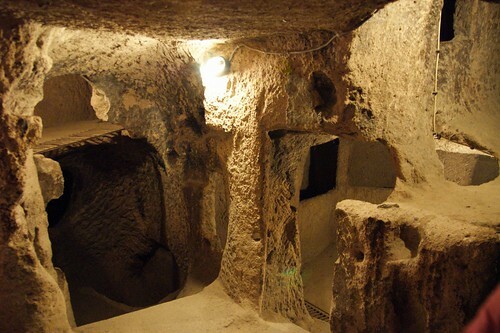 Another site is Kaymakli Underground City. It was a underground city built by the early Christians to hide from Roman soldiers searching. There are several floors in the underground city, we only visit part of 3 floors due to limited time. It was quite tiring to walk through the city, because always needed to bend down, squat down or climb ladders. We did feel some muscle pain.